....... It’s only rock and roll. I keep saying this over and over again. I’m guilty of talking about Tom Petty these last few weeks, to the point where I know I’m annoying people. I just can’t place where Tom Petty fits in. Originally the Heartbreakers were lumped into the New Wave sound of the late 1970’s. But like the O.J.’s glove, this didn’t fit. The late 1970’s brought the introduction of a paradigm shift in music. Sure, initially there were some similarities to the brash stylings of Elvis Costello, and Joe Jackson. Extremely tight song writing along with the energy and anger of youth. But the Heartbreakers were no Clash, or Ramones, or Talking heads for that matter. After 1979’s Damn the Torpedoes album dropped, they began their accent to rock royalty. They were, for all intents and purposes, a rock and roll band in an era where rock and roll bands were largely shunned. The self indulgent bloated arena rock of he time (think Boston, Eagles, Journey etc.) was being squashed by the new energy and anger of the DIY, in your face, take no prisoner approach of the new wave, and punk ethos. The rise of Bruce Springsteen and John Cougar got off the ground just before Tom Petty hit the road. There wasn’t a lot of room or interest in straight ahead rock and roll, it was more guts and glory, or art kids making noise. Tom Petty and the Heart breakers are a band out of time. They are at once in the musical time period, but not of that time period. Tom Petty has some how managed to be a relatively straight ahead rock band through four decades where a straight ahead rock band didn’t fit. Sure, in retrospect he is a great American troubadour, writing a body of work that touches on the great American experience, alongside heartland song writers of our time. You can drop Tom Petty along side the Americana and Heartland writing of Bruce Springsteen, and John Cougar Mellencamp. His association and friendship with Bob Dylan, Johnny Cash, George Harrison, Roy Orbison, Eddie Veddar and Jeff Lynn don’t hurt either. I was a kid of 12 years old when I discovered a tape cassette of Tom Petty and the Heartbreakers stuffed between the seat cushions of my Dad’s 1950’s diner. Of course as I wiped the table down with a dirty rag and cleared the table off for the next customer, I simply tossed the black encased cassette into the lost and found and went along my way. Weeks later, I saw that same cassette was still in the lost and found. I took it home. I didn’t know who Tom Petty was, except for the single on the jukebox, “Refugee”. Damn the Torpedoes exploded into my headphones. What a glorious sonic rock record. At this point, at 12 years old, I was just starting to navigate the world of music. Having been punished by the Disco era, I instinctively knew that what most people listened too was probably best to avoid. I listened to this tape over and over. I felt guilty that I liked it. After all, I had the Clash on my turntable, I wasn’t suppose to be supporting straight up rock music. Tom Petty became a guilty pleasure, and to this day I will pull out my best in car driving karaoke voice, and sing it like no one is “looking”. Damn the Torpedoes became a benchmark album for me, but one I never would admit to. That “lost” cassette became highly informative for me, and lead me to some of my great undying loves of music, especially the likes of Elvis Costello, Joe Jackson, and Bob Dylan. Now, Bob Dylan has always been a light in the darkness for me. In 1986, I jumped at the chance to see a double (triple?) bill of the Grateful Dead, Bob Dylan with Tom Petty and the Heartbreakers. This would be the first time for all three. But not the last. Tom Petty was on the back burner for me by then. Dylan was the main reason me and my brother were going to Buffalo, N.Y. on that sunny July 4th. The show was transformative. I would go on to see the Grateful Dead 77 more times, and Dylan about 30 or so times… Tom Petty and the Heartbreakers I would see only once more, again in the 1980’s, well before Tom Petty delved more into a solo recording act (always with some form of the Heartbreakers in the mix). (with a really great acoustic set in the middle). My first Dylan show was a barn burner. Never since have I seen Dylan with such rock and roll force. The Heartbreakers were clearly alive and on fire. A perfect foil. Even to my young ears, I could hear the pushing towards the “edge of the cliff” playing. Dylan was notorious for calling out songs at the last minute on stage, and sometimes including songs that were never rehearsed at all. This kept the band and the fans on the edge of their seats. It was palpable. A risk and reward scenario that has had me coming back for more for ever since. I was smitten. To me the three Jimmy Iovine produced records define the Heartbreakers sound. “You’re Gonna Get It! (1978), “Damn the Torpedoes" (1979) and “Hard Promises” (1981), are the high water mark for the band working as a tight unit of indivisible friends clawing their way out of Gainesville, Florida. They battled against the record company of the time, ABC records, which almost resulted in their third album not seeing the light of day. After this contractual dispute, Tom Petty dug his heels in again, rallying against the vinyl price increase that was to be attached to his forth record Hard Promises. Tom Petty’s integrity came out on top. Holding fast and sure of himself is an ongoing theme in Tom Petty’s life. A rare bird in the recording industry. The trials and tribulations of the recording industry were best focused on the 2002 record “The Last DJ”. Here Tom Petty takes a final knock out punch to the rapidly changing music industry and leaves it to bare. The idea that a group of musicians would band together and push through the world as a united force for the next 40 years seem ludicrous to today’s young artist’s. Tom Petty and the Heartbreakers were partially lucky, but extremely talented bunch of song writers. Always managing to catch the zeitgeist of the times, but never being swallowed up by it. The video era of the 1980’s have a ton of innovative MTV friendly videos by Tom Petty. But they were not seen as a video band, come Duran Duran, or something. They had radio friendly single after single, but were never reduced to a one off, “listen to me now, forget me later” act. (Fleetwood Mac), with out losing the Heartbreakers in the process. Sure later, the production style of Jeff Lynn changed how the band wrote and recorded (less off the floor, and more divide and conquer, recording the tracks separately, with over dubs). But the band remained in tact. There were a couple of personnel shifts, most notably the back and forth bass player switch of Ron Blair and Howie Epstein (RIP), and the drumming change of founding member Stan Lynch to Steve Ferrone. But over 40 years the core of the band is in tact, and has benefited greatly from this longevity. 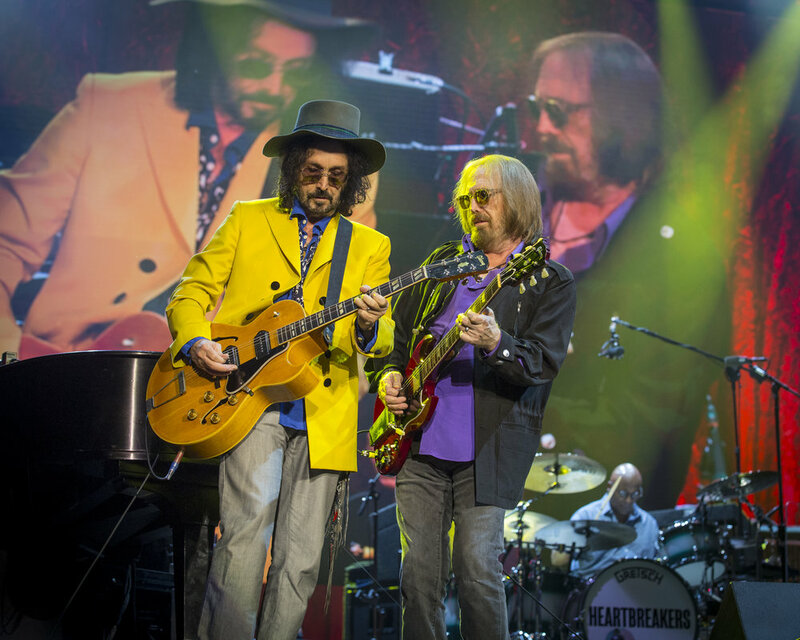 So, here 40 years after the start, and 30 years after they last played in Ottawa, Tom Petty and the Heartbreakers return to the Ottawa Blues Festival. Remember that integrity that I mentioned before? Well I saw very little of that last night on the Lebreton Flats. What I saw was more of a sham than some grande definable moment in a notable career. His set list has been the same since April 2017, the in-between banter has been the same as well. There was no spontaneity or even earnestness in the show. Don’t believe me? For the actual review of the show, you can google any review from the tour, and swap out the city name. Remember that great line about "Tonight we are gonna look at the last 40 years like it's one side of a big record, and drop the needle all over it” - (Tom Petty) …. makes you think that he is going to pick some songs out of the air, and rock them just for you…. not so much when every night of the tour has had the same setlist in the same order. No variation at all. (Identical rigging, just different shaped lights). Not even that was inspired. I guess both bands are shopping in the, “I use to be creatively inspired” store. In fact, those glowing orbs looked just plain stupid. Oh my, a shinny glowing light that moves up and down. Impressive. In the end I would say the production values of this show was as bland as the performance. Yes, I said it. Bland. All those mid set mid tempo songs from his solo records, and the “it’s your turn to sing-along” parts. I don’t need every one around me to sing along with “Mitch”, and I don’t need the performer to tell them to sing-a-long. I love when there is a spontaneous moment where the crowd takes over, but to be directed by the performer is a cheap ploy… almost as bad as “How’s every body doing tonight!! It’s great to be in ________(insert town here)”. Formula to boredom. Still don’t believe me that Tom Petty and the Heartbreakers mailed it in? Remember Tom Petty remarking on all that “mojo” that was building last night. Well it must have been left over from Toronto, because he said the exact same thing there, in the exact same place in the set (between Rockin’ Around and Mary Jane). Remember the band intro’s? Well, that was a quote for quote repeat also. “one of rock and roll greatest guitarist”, and “we were going to be in a band together… forever, man!”, could be slotted into any performance of the tour as well. Oh yeah, remember that cool cat like move when he jumped back from the mic, with claws extended. So smooth, right. Well I would hope so, as he does that every single show. But the music was great, right!? I’m, not so sure many people were even listening. However, I am certain that most people weren’t listening very closely. The Ottawa Bluesfest was overrun with people in the main bowl. The crowd stretched from incredibly cramped quarters upfront to fairly cramped quarters all the way in the back. It was near impossible to move around the field. I was tucked up front for the start of the show. I lasted the first three songs. What was the point of being “sardines in a can”, with sweaty smelly testosterone driven energy every where around me.? Some guy rabbit punched me in the kidney’s as I tried to leave. I guess he thought I was making a move on the two inches of space that he claimed as his own. And just for clarity, i thought it was a little girl punching me, as his punch had the strength of a aging kangaroo, minus the tail. It appeared that a lot of the audience was there for the party, and to check this legend off on their “I have seen ‘em”, list. Don’t get me wrong, I think it’s great that people are actually going out and supporting live music, and I think you should do just about whatever you like at a show, but I prefer an audience that actually “listens”, as opposed to just making the scene. Once i gave up the front of stage spot, and knowing all that the mid set lull was just around the corner, I felt better. The sound was pretty sweet as you got to the sound board, and again after the second stack of video screens and P.A. system. There was a little more room and decent sound. The Bluesfest had done a great job getting people in, and keeping them safe and secure. They even set up an auxiliary screen just outside the field on the Museum road. Great idea! A place to move and hangout, with pretty good sound. This is where I spent the last part of the show. With the god awful trio of Wildflowers material finishing, I was thankful that the Full Moon Fever and Damn the Torpedoes songs were coming up. The hopes for some good guitar interplay, and higher energy classic rock were mildly fulfilled. It certainly wasn’t the Heartbreakers from the 80’s. They did step it up, and tried to drive the show home, peaking with Refugee and rollicking Running Down a Dream. This band can play. BUT, they just didn’t seem invested. They just seemed to be giving a cross section of their radio friendly fair. No context, no sense of a career defining exhibition of their stellar body of work. Going through the motions to a large degree. 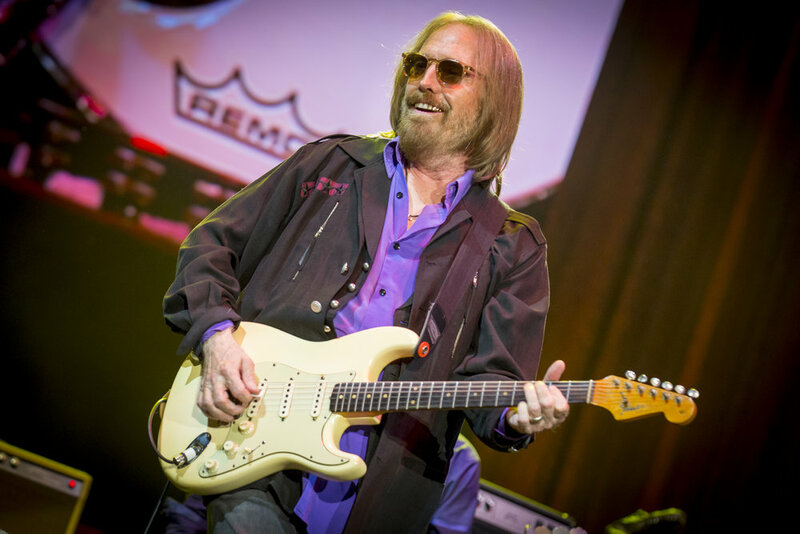 Tom Petty, who has been a guiding example of integrity through out his career is pulling the wool over our eyes. In my estimate they mailed this whole tour in. Let’s hope his 50th tour finds more depth and creativity. After all, it’s only rock and roll. Also some links to reviews to check out….any of them will give you an accurate review of the Ottawa show.